New. 022623973X *NEW! * RETURNS ARE NO PROBLEM! All of our orders are sent with tracking information when possible. ALIBRIS. Fair. 022623973X **PLEASE NOTE** This book has suffered some water marks that may cause staining or wavy pages, however it is a good, usable copy. Regardless of title, CD/DVD/Access Codes or Supplemental Materials are not guaranteed. This is a U.S. Student Edition Book. This book is not a rental. Very Good. 022623973X Crisp, clean, unread book with some shelfwear and a remainder mark to one edge-NICE. Good condition with reasonable wear. May include limited notes and/or highlighting. SHIPS WITHIN 24 HOURS! Tracking Provided. DHL processing & USPS delivery for an average of 3-5 Day Standard & 2-3 Day Expedited! FREE INSURANCE! Fast & Personal Support! Careful Packaging. No Hassle, Full Refund Return Policy! Good. Ships from CA-Please note: **Tracking info updates only when package is accepted by USPS and once package arrives at your regional USPS processing center. ** Please allow 7-14 business days for package to be delivered. ITEM CONDITION: Cover/casing shows wear which may include scuffs on edges, dust jacket/cover curling, nicks, small taped tears, blemishes, tanning, price clipping, remainder marks, and/or creases. Text pages may have markings on them consisting of, but not limited to: previous owners name/gift inscription written on inside cover page, notations, underlining, and/or hi-lighting. Thank you for choosing Viva Books! All pages and cover are intact. Spine and/or cover may show signs of wear. ~ Goodwill Industries of Greater Grand Rapids, Inc. is a non-profit organization dedicated to changing lives and communities through the power of work. This book is all I wanted and more, well organized and readable with excellent examples. 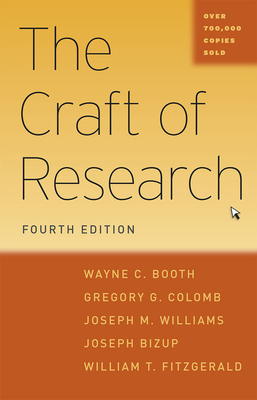 This book is a good basic book on the systematic approach to research. It is written for a beginner but is suitable for a seasoned researcher to further home their research skills.